This morning I was doing some marketing research and surfed to the Picture Window Books website. To my delight, right there on their home page was my recent book series, MOTHER GOOSE RHYMES. Why the honor of being featured on their homepage when they published over 200 books on their spring list? Well, it seems that the series was not only a finalist in the Association of Educational Publishers Golden Lamp Award, but it also named a 2007 Winner of the Distinguised Achievement Award (by their definition, “The Distinguished Achievement Awards honor the top products within the categories of Curriculum, Periodicals, and Professional Development. The finalists are evaluated on traits such as efficacy, usability, and educational value.”). What an unexpected surprise–time for a little Snoopy dancing! Congratulations! I just stumbled upon your site and was looking at your favorite books — I’m an elementary English as a Second Language teacher — and I agree with many of yours! My kids this year LOVED the Little Mouse and the Big, Red, Ripe, Strawberry. I’m going to check out your nursery rhyme collection. 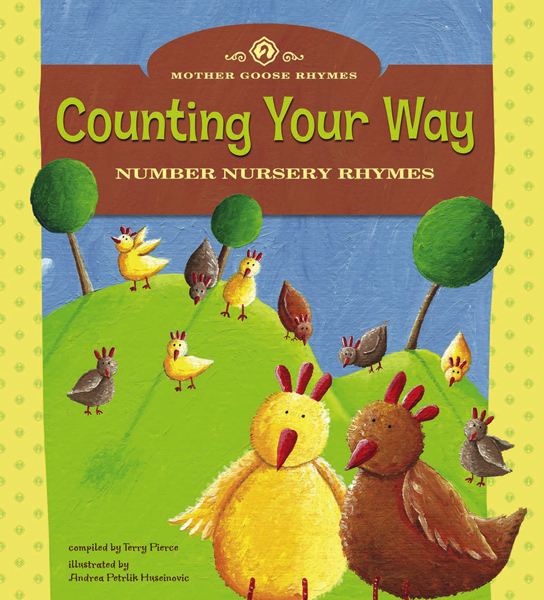 Nursery rhymes are something I always spend a lot of time teaching my little ones (Kindergarten)for phonemic awareness. And many of my ESL students are not familiar with English rhymes. Thanks for the ideas! Thanks, “2busyboys”! One of the things I like about the Mother Goose collection is that the illustrations are multi-cultural with a bit of a contemporary look, so they’re very appealing to today’s kids. I hope you enjoy them.